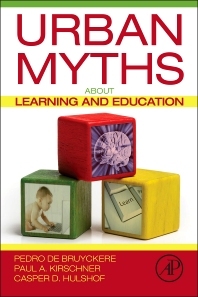 Our book, Urban Myths about Learning and Education, out now! It has been a long wait (and lots of work) for Paul, Casper and myself, but now our book is on sale! Preordered – looking forward to reading.